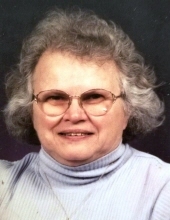 Roberta Sue Cusack, age 78, of Raeford, NC passed away at her home on Nov. 20, 2018. Roberta was the widow of Robert Cusack. Born in St. Johnsbury, VT on Feb. 18, 1940, she was the daughter of the late Chauncey & Marjorie (Blake) Dean. Roberta was a former resident of Westborough & Hopkinton, MA for many years, and also Middlebury, CT. She was a computer programmer for the Honeywell Corp. before her retirement. While living in Massachusetts she was an organist for the Woodville Baptist Church in Woodville, MA for many years. Roberta is survived by her daughters, Cynthia Christine Bouley of Milford, MA, Patricia Lynn Cusack and Erin Marie Cusack both of Raeford, NC; her son, Dean Patrick Cusack of Wilmington, VT; 9 grandchildren and 11 great-grandchildren. Friends may visit with her family on Monday, Nov. 26th from 5:00 to 8:00 PM at Beecher & Bennett Funeral Home, 2300 Whitney Ave., Hamden and may attend her Funeral Service at the funeral home on Tuesday at 11:00 AM. Burial will follow in St. Lawrence Cemetery, West Haven. To send flowers or a remembrance gift to the family of Roberta Sue Cusack, please visit our Tribute Store. "Email Address" would like to share the life celebration of Roberta Sue Cusack. Click on the "link" to go to share a favorite memory or leave a condolence message for the family.